As the ultimate symbol of a beautiful transformation, the butterfly is the inspiration and principal motif for this year’s limited edition bottle designs of Facial Treatment Essence, exclusively available for the festive season. 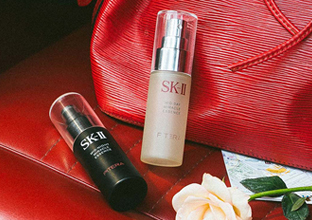 The butterfly’s inspiring metamorphosis echoes the beautiful transformation experienced by millions of women around the world, who have loyally used SK-II to change their destiny and transform their skin to crystal clear. The journey of a butterfly lies at the heart of SK-II’s stunning new festive campaign film, Wings of Change. 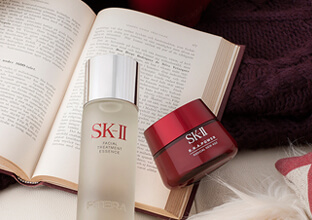 Continuing in the tradition of collaborating with emerging artists and creative talents for the festive season, SK-II worked with a Paris-based Japanese director and a trio of French ballet dancers for the video, bringing the symbolic concept of the festive limited edition bottles to life. Featuring elegant ballet dancers, live digital projections, and a kaleidoscope of animated fluttering butterflies, the visually-arresting film incorporates both classical and contemporary elements to create a multi-layered tapestry of performance, music, and visual art. 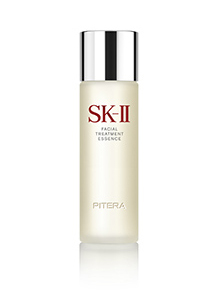 This fusion of classic and modern strongly echoes SK-II’s position as a skincare brand, remaining true to its origins in the discovery of Pitera while being at the forefront of innovative skincare science and technology. 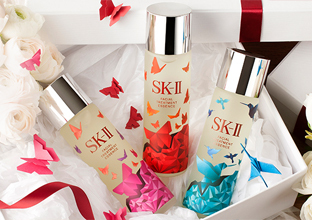 And just like a caterpillar turns into a butterfly, the festive redesign of SK-II’s iconic essence may be its most beautiful transformation yet. 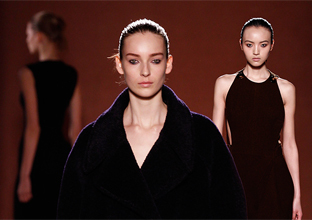 "The idea of the film is metaphorical, and dramatically illustrates the birth of the butterfly from the cocoon to its flight upwards in a rhythmic and visual crescendo."